82 ads were from healthcare category, followed by 75 ads from education category. 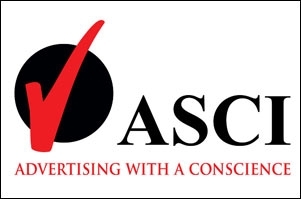 The Advertising Standards Council of India (ASCI), a self-regulatory body that propagates responsible advertising, has released a report of the complaints it received and upheld in the month of October 2017. The ASCI's Consumer Complaints Council (CCC) received complaints against 193 ads; complaints against 114 ads were upheld. Of these, 82 ads were from the healthcare category, followed by 75 ads from education category; 11 ads were from the personal care category, eight in food and beverages category and 24 ads were upheld in the others category. Gross exaggeration of product efficacy was the number one reason for upholding complaints, followed by violation of the Drugs and Magic Remedies Act (DMR Act) and the Drugs and Cosmetics Rules (D&C Rules). The other reasons were failure to provide substantial facts and figures to support claims, and providing misleading and ambiguous information. Among the various complaints, CCC observed that a prominent FMCG drug company was providing inadequate and misleading information on its products while promoting pimple free skin in their campaign. Similarly, an MNC had magnified information regarding the services provided to the public and its association with an international sports event. Both the claims were not substantiated with supporting data and were found to be inaccurate. Furthermore, claims by an online car rental service brand providing discounts and offers on its services were found to be misleading by omission of validity of the promotion period. Abanti Sankaranarayanan, chairman, ASCI, says in a press release, "Complaints against brands from various sectors have been upheld for not abiding by the codes of self-regulation put forth by ASCI. ASCI ensures protection to consumers against brands providing false and misleading information in their advertisements, and promotes honest messaging to protect the consumers' interest. 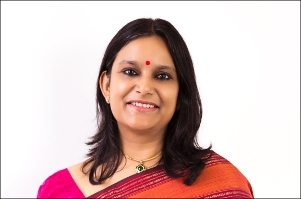 ASCI endeavours to provide transparency to both, the brands and consumers alike." ASCI processed complaints against the following advertisements from the general public, industry as well as from the Department of Consumer Affairs' Grievances against Misleading Advertisements (GAMA) Portal. Out of 100 advertisements, complaints against 52 advertisements were upheld. Of these 13 advertisements against Healthcare, 10 belonged to the personal care category, seven belonged to the education category, three belonged to Food & Beverage category and 19 belonged to other categories. Education brands pulled up for violating ASCI guidelines for Advertising of Educational Institutions were Liza Handwriting and Calligraphy Course, Manav Rachna Educational Institutions, Allen Career Institute, Adi Shankara Institute of Engineering and Technology, Chandigarh University, Thiagarajar College of Engineering and Efficient Brainy. The personal care brands that have come under the ASCI scanner for violation of advertising guidelines include Hindustan Unilever (Lever Ayush Soap), Reckitt Benckiser (India) (Veet Wax Strips), Hamdard Laboratories (India) (Safi), Brihans Natural Products (Green Leaf pure aloe vera skin gel), The Himalaya Drug Company (Himalaya Purifying Neem Face Wash), RICHFEEL Health & Beauty, CavinKare (Egg White Chik Shampoo), Pfizer (Anne French All Natural Hair Removal Cream), Dabur India (Dabur Laal Tel) and Nearbuy India. Other brands which were pulled up for objectionable ads due to false and/or misleading claims include Hindustan Petroleum Corp (HP Petroleum), M/s. Lamode Fashions (LaMode), Uber India, MRF (Wood Coat), Indian Oil Corp (Servo Oil), Ultra-Card Print World (Print World), The Coca-Cola India, Usha International (Usha Honeywell Evaporative Air Cooler), Gujarat News Broadcasters (VTV News), Sangeetha Mobiles, D'DÉCOR (D clean), Epson India (Epson Printers), TCL India, Ibibo Group (Fab Hotels), Nakshatra World (Nakshatra.world), Madura Fashion & Lifestyle (Linen Club), SBI Funds Management (SBI Mutual Fund), Heinz India and Friend's Electronics. The advertisements given below were picked up through ASCI's Suo Moto surveillance of print and TV media via National Advertisement Monitoring Services (NAMS) project. Out of 219 advertisements, total of 148 advertisements were considered to be misleading. Of these 69 advertisements against healthcare, 68 belonged to the education category, one belonged to the personal care category, five belonged to Food & Beverage category and five belonged to the others category. The CCC found the following claims of 69 advertisements in health care products or services to be either misleading or false or not adequately / scientifically substantiated and hence violating ASCI's Code. Some of the health care products or services advertisements also contravened provisions of the Drugs & Magic Remedies Act (DMR Act), Drugs and Cosmetics Rules (D&C Rules) and Chapter I.1 and III.4 of the ASCI Code. Complaints against the following advertisements were UPHELD. Perfect Point, Evaa Fertility and Gynaecology Centre, Bajoria Appliances (Kutchina Water Purifier), Smart GYM, Oma Health and Beauty Clinic, A. M. Reddy Homeopathy, Positive Homeopathy, Elements Health Care Solutions (Migrocure Ayurvedic Oil), Sun India Pharmacy (Swasthya Vardhak Capsules), Naturoveda Health World, Jolly Health Care (Jolly Tulsi 51 Drops), Caram Healthcare India (Diamedica), Ayurdham Kerala Ayurvedic Panchkarma, Olivet Pharma (Ayusya Super speciality Treatment Centre), Arogyam Ayurvedic Hospital, Nurture Health Care (Bgainer Capsule), Blizz Biosculpting, SKS Ayurveda Impex (SKS Height Plus), Shree Ujjawal Ayurveda (Shree Ujjawal Ayurveda Products), Rogmukti Ayurvedic Clinic, Ratan Ayurvedic Sansthan (Su dol Body Toner Capsules), Positive Homeopathy (Positive Slimming), Nisargalaya Drugs (Phyto X-Tra Power), Nirog Ayurvedic Center, Manishree Homeopathic Clinic, Hamdard Laboratories India (Hamdard Wellness), Dr. Dassan's Life Care Ayurvedic Herbal Treatment and Research Centre, B C German Homeo Clinic, Dr. H.L. Parmar Ayurved & Panchkarm Hospital and Prince Pharma (2 Much Gold Capsules). The other brands which were upheld in the healthcare segment include, SDI Herbo Chem - Zosh Ayurvedic Oil and Capsules, Dindayal Aushadhi (303 Gold Power Oil), Sun Laboratories (Titanic-K2 Plus Capsule), Gaharwar Pharma Products (P.V Tone Oil and Capsule), Men's Health Clinic, Homeocare International, Dr. Atul Mishra German Homoeopathic Agency & Clinic, Diacure Herbal Powder, Soliel International Healthcare Products (BT-36 Body toner capsule and cream), Gaharwar Pharma Products (Gaharwar OTC Products), Rajnish Hot Deals (PlayWin Plus Capsule), Shree Maruti Herbal (Stay-On Power Capsule), Rajnish Hot Deals - Kasaav Powder, Gaudium IVF and Gynae Solutions, Stammering Relief Centre, Holistic Treatment Centre, V-Care Skin Clinic & Piles Centre, Sarvoday Skin and Hair Clinic, OPTM HealthCare, Lida Biotech, Dr. Gill Future Health Centre, Slim & Smile Slimming Centre, V3 Slim Care, Vasan Healthcare, Dr. Bora Super Speciality Homeopathy, Amrutham Ayurveda Bazaar and Hospital, Nurture Health Care (Medora UpcharPaddhati), Khodiyar Ayurvedic, Dindayal Industries (303 Capsules), Mdj Nutriments (Cassia Herbal Koffi), Nuayurveda Clinic, Sun Pharmaceutical Industries (Suncros Soft) and New Touch Skin Care New (Touch Laser Centre). The CCC found following claims in the advertisements by 68 different advertisers were not substantiated and, thus, violated ASCI Guidelines for Advertising of Educational Institutions. Hence complaints against these advertisements were UPHELD. ALS Satellite Education, Saraswati Educational & Cultural Society - IPSR Group or Institutions, Lakshmikanthammal Educational Trust (R.M.K. College Engineering of Technology), Swami Vivekanand Vishwavidyalay (Swami Vivekanand University), R K Bajaj Group Of Institute (G L Bajaj Institute of Technology and Management), Renaissance College of Hotel Management and Catering Technology, Defence Services College, Jetking Infotrain (Jetking Computer Education), R.A. Institute, Atulesh Convent High School, Gujarat University and Devalya Education - Devalya Education. Jankalyan Computer Saksharta Mission, LNCT Group of College (Lakshmi Narain College of Technology), LNCT Group Of College (Lakshmi Narain College of Technology), Regional College Of Management, Hindustan Company Construction Pvt Ltd. (Hindustan Aero Academy), National Institute Of Science and Technology, Sojatia Classes, Gautam Buddha Technical Institute, Droan College Of Nursing, Dr Zakir Husain Institute/ Institute Of Hotel Management and Catering Technology & IIBM, Jagan Nath Gupta Memorial Educational Society (JaganNath University), Annai Madha Polytechnic College - AnnaiMadha Catering College, Kanyakumari Community College- (Malankara School of Commerce), Sri Medha Junior College- (Medha Junior College), Sri Mahesh Institute Of Computers, Airline & Hotel Management Academy, Bhagwant University, Christian School Kullu- Christian Nursing Institution, Click Coaching, Dr. Anushka Group of Institutes- Dr. Anushka Vidhi Mahavidyalaya, Emphasis Educational Charitable Trust - Emphasis Ranchi, Fortune Academy For Career Empowerment- (FACE Institute of Hotel Management), FLYWAY Institution of and Placements Pvt (FLYWAY Air Hostess Training Academy), Hanswahini Institute Science & Technology, ITM University, Parul Arogya Seva Mandal Trust- Parul University, Radharaman Group of Institutions, Chiranjeevi Reddy Institute of Engineering and Technology, Minerva Educational & Charitable Trust -Mangalore Institute of Fire & Safe Engineering. The other brands which were upheld in the education category include, Institute Of Fire Engineering and Safety Management (NIFS), Aryabhatta Group of College (Arybhatta Engineering College), Apparel Training and Design Centre - ATDC, Global Soft, International Academy of Logistics Management, ICA Education Skills, Indian Institute of Business Management, Jaypee Polytechnic and Training Centre - Rewa, Majhighariani Institute of technology & Science, Lindas Institute of Engineering & Vocational Training College, Sherwood Educational Group, Sri Ramswaroop Memorial University, St. Wilfred Education Society, Indian Institute of Safety Management, Academy of Aviation - (Academy of Aviation &Professional Excellence), Dr. Bhimrao Ambedkar Technical Training Institute, JD Institute Technology of Fashion Technology, Maharishi Shiksha Sansthan MSS (Maharishi Institute of Management), Oriental Institute of Science and Technology, Jayalakshmi Technology Institute of Technology, Glam India Academy, Gurukul Management Studies, The ICFAI University, Indra Ganesan Educational and Charitable Trust (Indra Ganesan College of Engineering), Vikramshila Educational and Welfare Society (International School of Management - (ISM), DICS Computer Education, Institute Of Science and Management and Techno Herald. Pure Royale (Pure Royale Supari Mix), Gods Own Food Solutions (Jackfruit 365), Kanhai Food (Kabhi B Bakery Patisserie), Ankur Chemfood (Ankur Salt Range) and Sethi Enterprises (Family Bread). ARG Outlier Media Asianet New (Republicworld.com), Peram Group, Maa Kamakhavya Darbar Fragrances India (Tiranga Sacred Siddhi Gugal Agarbatti), Garg Industries (Nirol Electricals) and UtsEco International (Uts Eco Solar Water Heater).